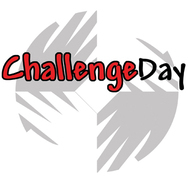 Join Building Understanding in supporting an important annual event at East Cobb Middle School by volunteering as a facilitator or helper on one or more of the dates Challenge Day is held. Challenge Day shares a number of features with the Everytown and it is a pleasure to support this work for the third year in a row. Would you like to help but you can't stay all day? We also need volunteers for lunch distribution and door monitors.